A great way to send love in a big way. 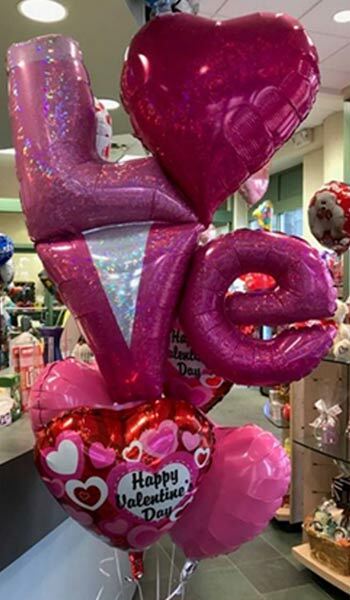 A large LOVE balloon is featured with 2 hearts and 2 Valentine balloons in this beautiful balloon bouquet. Delivering love is one of our specialties! Click the button below to add the Balloon Bouquet Sweet Love to your wish list.